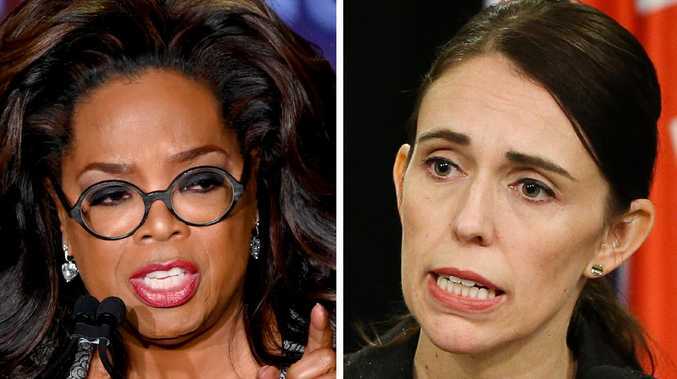 Oprah Winfrey has expressed her admiration for Jacinda Ardern and her leadership. Picture: Mike Coppola/Getty Images. But New Zealand Prime Minister Jacinda Ardern's response to last month's Christchurch mosque massacre was a display of leadership Winfrey says she's "never seen". In her keynote speech at the Women in the World summit in New York City today, Winfrey lavished praise on Ms Ardern to a packed crowd, at the Lincoln Centre. The annual event features speeches and panel discussions that address the central question, "Can Women Save the World?" "I've never seen such leadership," Winfrey said. "The prime minister is a woman who has such courage in her convictions and has set a global standard for leadership with her response." Just hours after a gunman opened fire on two mosques and killed 50 people - including children - and injured 31 others, Ms Ardern appeared before the nation. She condemned the shootings, labelled the attacks "terrorism" and said the perpetrators had "no place in New Zealand". The following day, Ms Ardern met with Christchurch's Muslim community, after telling them it was "for you to determine" how she should spend her time there. She wore a black headscarf, embraced a mother, listened to mourners intently and told the community the nation was "united in grief". Her response was widely regarded as inclusive, compassionate and genuine. "So women across the country showed their solidarity by wearing head scarfs to emulate the hijab that Ms Ardern chose to mourn in and the Arab community felt their benevolence," Winfrey said today. "Fifty murders could have brought even more destruction but instead led to a portrait of the Prime Minister displayed across Dubai's tallest building with the word 'peace' shining above it." 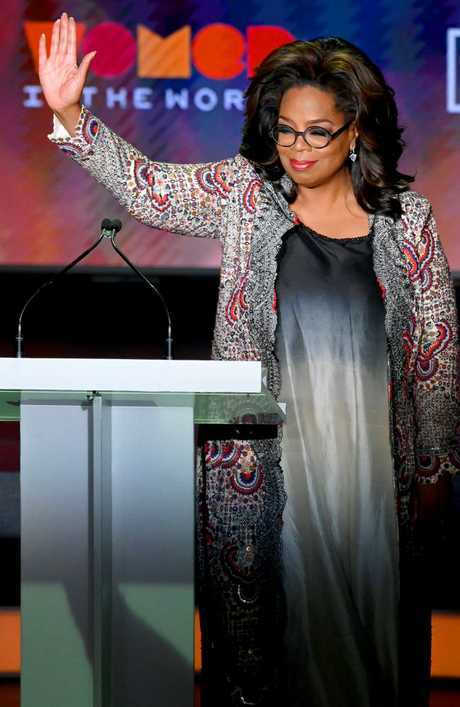 Oprah Winfrey speaks onstage at the 10th Anniversary Women In The World Summit at David H. Koch Theatre at Lincoln Center on April 10, 2019 in New York City. Picture: Mike Coppola/Getty Images. She was one of several critics who slammed Ms Ardern's response. But Winfrey said Ms Ardern "projected peace and goodness and the Arab world rejected it right back for all of us to take in". "And suddenly we saw that the other didn't seem that much different from us," she said. Within 10 days of the attack, Ms Ardern announced that tighter gun laws would be introduced in New Zealand. Her deputy Winston Peters, leader of power-sharing and usually anti-regulation party NZ First, said he supported the move. "We live in a country that has somehow confused cruel with funny, serious with intelligent, attitude with belief, personal freedom with stockpiling assault weapons, and what is moral with what is legal," she said. "So it is time for women in the world to set the agenda. It's time for women to redefine the message. We need to make that message a positive one. Let's make it ambitious, and inclusive, and brimming with hope." Those who need inspiration should just look in Ms Ardern's direction, according to Winfrey. "We have to make the choice every single day to channel our own inner Jacindas; to exemplify the truth, and the respect and the grace that we actually wish for the world," she said. "We need to tell it, write it, sing it, proclaim it … we need to be the truth, the respect, we have to be the fierceness, the love that we want to see. And when we do that, mark my words … a change is already coming." The summit runs for three days at New York's Lincoln Centre.